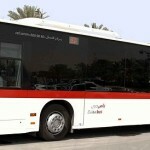 RTA has announced minimum Nol card balance for Dubai commuters using public transportation network. 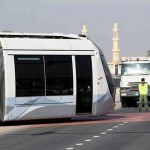 Commuters with Nol cards not meeting minimum fare requirements will be prohibited from traveling through Dubai Metro, Bus or Tram. This is the second time in current year when minimum balances on Nol card are changed. Previous hike came in August 2014 when a minimum balance of Dhs 6 was required to present on a Nol card when a commute is made. The minimum fare on the Silver Nol card is now Dh7.50. This amount corresponds to the maximum fare that can be charged for any trip on the Silver Class. Previously, this amount was Dh5.80. When a Silver Nol Card does not maintain this balance, metro gate will not open, and entry on any other public transportation mode is not permitted. The minimum balance for Gold Nol card is the same as on the Silver Nol Card, that is, Dh7.50. 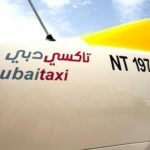 This does not correspond to the maximum fare that can be charged for any trip on the Gold Class, as this amount adds up to Dh15. Previously, the minimum fare of the Gold Nol card corresponded to the maximum fare on the Gold class, which used to be Dh11.60. Interestingly, a commuter with Gold Nol Card cannot be fined when traveling with a Nol card balance below zero. The rules change again when the Nol card is expiring. 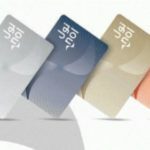 Since August 1 this year, it is possible that a Nol card expires, as the cards are valid for five years and the first batch was issued on August 1, 2009. On the day that the Nol card expires, it cannot be topped up. 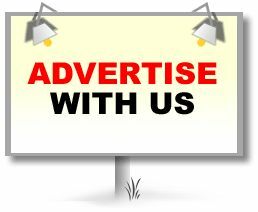 However, a trip can still be made, provided a minimum balance is available. In this case, both the Silver and Gold Nol card minimum balance correspond to the maximum fare that can be charged on the respective trips. On the Silver Class, this is Dh7.50, while the maximum fare on the Gold Class is Dh15. 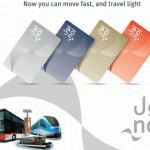 Thus, on the day of expiry, the Silver Nol card must have a minimum fare of Dh7.50, and a Gold Nol card a minimum fare of Dh15, or entry is not permitted. On the Metro, a passenger with insufficient balance on the Nol card is actually barred from entering, as the check-in gates will not open. This is different on the Tram and Bus, where there are no gates but only Nol card readers. However, travelling with insufficient balance is a violation and can be fined.